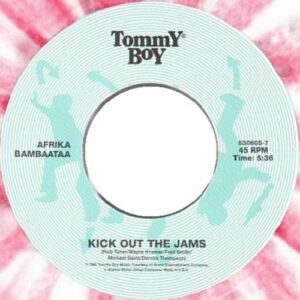 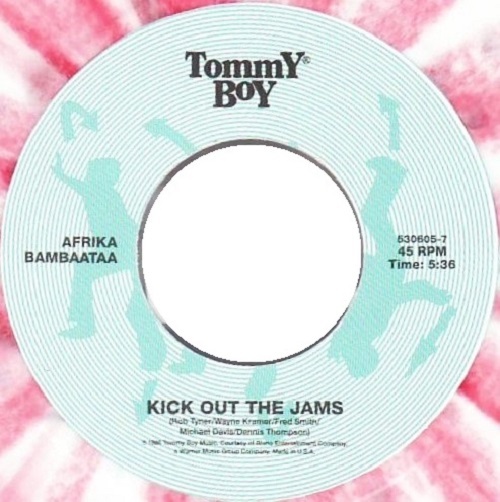 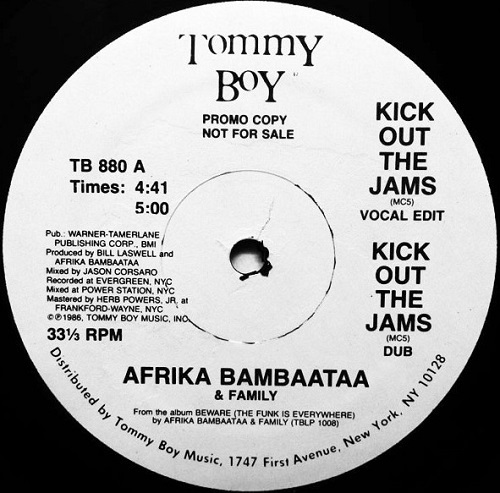 Third and final single from Bambaataa’s second album but this was a promotional only issue and was never officially released. The title track is a cover version of infamous 1969 track by MC5 (Motor City Five) with Bam on vocals and goes to showcase his very diverse taste in music. 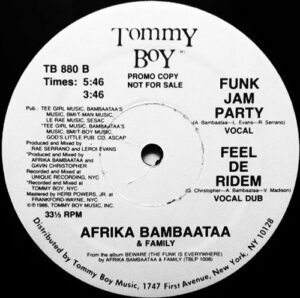 “Funk Jam Party” is a hip hop/go-go blend and is the main go-to track on this 12″. 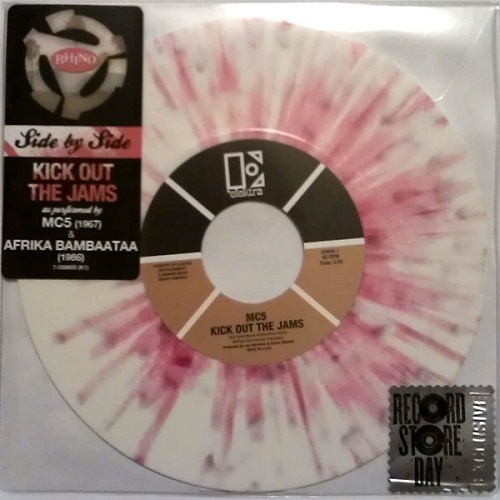 The track was reissued on a coloured vinyl 7″ for Record Store Day 2012 as a B side to the MC5 version. Record Store Day 2012 release. 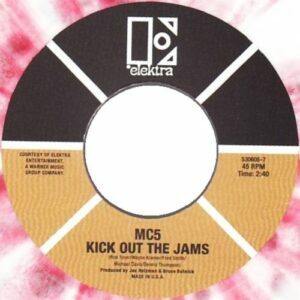 Original 60’s version by MC5.